From the heart of New Orleans on Bourbon Street, CNN’s Fredricka Whitfield and NBA TV Analyst and CNN Sports Contributor Steve Smith give viewers an all access look at the NBA All-Star weekend, where the world’s biggest basketball stars come together to celebrate the NBA on a global stage. The half-hour program will feature an interview with 9-time NBA All-Star and LA Clippers Point Guard Chris Paul who talks about his deep connection to the people of New Orleans and using his voice to impact social change. St. Augustine high school legendary former coach Bernard Griffith and famed alumnus Avery Johnson, who played for the NBA and is the current head coach at the University of Alabama, also sit down with CNN to share the life lessons they learned while playing basketball. St. Augustine high school in New Orleans played a big role in battling segregation in the city. New Orleans Pelicans Assistant Coach Robert Pack who grew up in New Orleans’ 9th Ward, played professional basketball there and now coaches in the city, gives CNN a personal tour of New Orleans. Additionally, CNN Sports correspondent Andy Scholes captures the spirit of New Orleans with Mardi Gras also taking place this weekend. 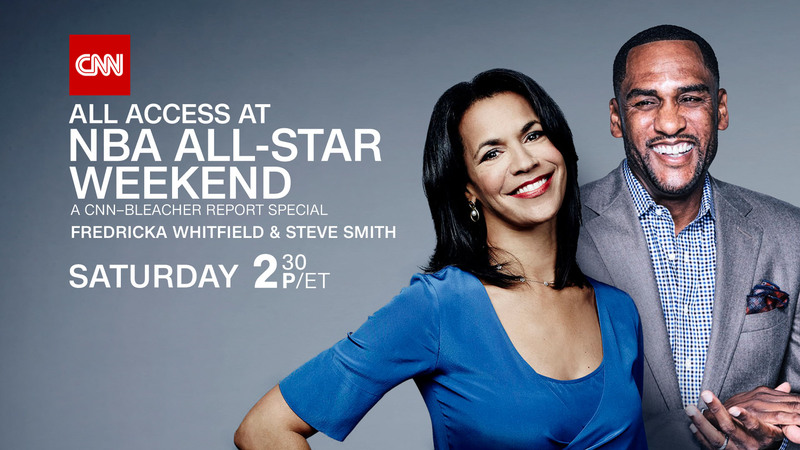 “All Access at NBA All-Star Weekend: A CNN-Bleacher Report Special” airs on CNN, Saturday, February 18th, at 2:30PM/ET.